I know some of my colleagues are delighted that we’ve seen the season finale of Project Blue Book, not because they like the show but because it is over… for a while. I confess that I don’t understand their hostility. 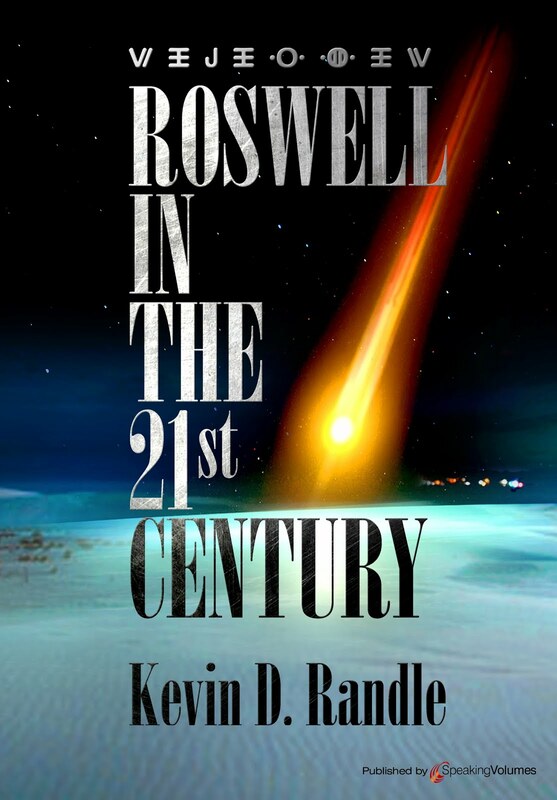 Project Blue Book is not a documentary but a drama that has a historical background and a loose, very loose, interpretation of some of the sightings that are found in the Blue Book files. The prior two episodes were based on cases that were not found in the files, though there is some information about the Hill abduction found there. It seems, however, that the mention of the Hill case is because someone queried the Air Force about it and not because they were actively investigating it. The finale dealt with what are known as the Washington Nationals, which were sightings on two consecutive Saturday nights in July 1952. Blips were seen on radarscopes and pilots were reporting the lights in the ski near them. I have talked to two of the officials who observed the sightings on the second night, Major Dewey Fournet and Al Chop. Both men believed that the UFOs were reacting to the presence of jet fighters scrambled to intercept the objects. According to both men, at one point, it got pretty hairy, meaning one of the fighters was surrounded by the objects. They also mentioned that it seemed the objects, except for that one instance, would disappear when the fighters arrived and would reappear when the fighters left the area. More on that later. Here is the short version of the Washington Nationals. It began late in the evening on July 19, 1952, when two radars at the Air Routing and Traffic Control Center (ARTC) picked up eight unidentified targets near Andrews Air Force Base. According to reports made by the controllers, these were not airplanes because they moved too fast. One object, according to the calculations made at the time was tracked at 7,000 miles an hour. About twenty minutes later, or just after midnight on July 20, the tower radars at Washington's National Airport tracked five objects. What this meant was that three radars at three different locations had solid targets that were not identified as aircraft. One of the controllers at the ARTC called for a senior controller, Harry C. Barnes who in turn called the National Airport control tower. They had unidentified targets on their scopes, as did the controllers at Andrews Air Force Base. They had already eliminated a mechanical malfunction as the cause, but with the objects on other scopes in other locations, there was no longer any question of their reality. The performance of the blips ruled out airplanes. All the men, including Barnes, was sure they were looking at solid objects based on their years of experience with radar. Weather related phenomenon wouldn't produce the same effect on all the radars at the widely scattered locations. In fact, if weather was the explanation, the targets would have varied from scope to scope. Just after midnight, Airman Second Class (A/2c) Bill Goodman, called the Andrews control tower to tell them he was watching a bright orange light about the size of a softball that was gaining and losing altitude as it zipped through the sky. During this time, Goodman talked to Airman First Class (A/1c) William B. Brady, who was in the tower. Goodman told Brady that the object was to the immediate south. Brady saw a ball of orange fire. There were discrepancies between the physical description given by Goodman and Brady, but the problems were relatively small. It can be argued that the discrepancies are the result of the points of view of the two observers. Joseph DeBoves, who was also on the scene as a civilian control tower operator at Andrews, said that Brady became excited during one of his telephone conversations, yelling, "There one goes." DeBoves believed that Brady was watching nothing more interesting than a meteor. About two in the morning on July 20, the Radar Officer, Captain Harold C. Way, at Andrews Approach Control, learned that the ARTC had a target east of Andrews. He went outside and saw a strange light which he didn't believe to be a star. Later, however, he went back out, and this time decided that he was looking at a star. There is a suggestion that he was pressured into revising his first observations. Bolling Air Force Base became involved briefly about the time Way went outside. The tower operator there said that he saw a "roundish" object drifting low in the sky to the southeast of Bolling. There were no radar confirmations of the sighting, and that was the last of the reports from that base. This might will have been a star. The ARTC again told the controllers at Andrews that they still had the targets on their scopes. There is conflicting data because some of the reports suggest that the Andrews radar showed nothing, while other reports claim they did. Now DeBoves, and two others in the tower, Monte Banning and John P. Izzo, Jr., swept the sky with binoculars but could see no lights other than the stars. The sightings lasted through the night, and during that time, the crews of several airliners saw the lights right where the radars showed them to be. Tower operators also saw them, and jet fighters were brought in for attempted intercepts. Associated Press stories written hours after the sightings claimed that no intercepts had been attempted that night but those stories were inaccurate. Documents in the Project Blue Book files, as well as eye witnesses, confirm the attempted intercepts. Typical of the civilian sightings were those made by Captain Casey Pierman on Capital Airlines Flight 807. He was on a flight between Washington, D.C. and Martinsburg, West Virginia at 1:15 A.M. on July 20, when he, and the rest of the crew saw seven objects flash across the sky. Pierman said, "They were like falling stars without trails." Capital Airline officials said that National Airport radar picked up the objects and asked Pierman to keep an eye on them. Shortly after takeoff, Pierman radioed that he had the objects in sight. He was flying at 180 to 200 mph, and reported the objects were traveling at tremendous speed. Official Air Force records confirm this. Another Capital Airlines pilot, Captain Howard Dermott, on Capital Flight 610, reported a single light followed him from Herndon, Virginia, to within four miles of National Airport. Both the ARTC and the National Tower confirmed that an unidentified target followed the aircraft to within four miles of landing. At about the same time, an Air Force radar at Andrews AFB was tracking eight additional unknown objects as they flew over the Washington area. One of the most persuasive sightings came early in the morning when one of the ARTC controllers called the Andrews Air Force Base control tower to tell them that there was a target south of the tower, over the Andrews Radio range station. The tower operators looked to the south where a "huge fiery-orange sphere" was hovering. This again was later explained by the Air Force as a star. Just before daylight, about four in the morning, after repeated requests from the ARTC, an F-94 interceptor arrived on the scene, but it was too little too late. All the targets were gone. Although the flight crew made a short search of the local area, they found nothing unusual and returned to their base quickly. During that night, apparently the three radar facilities only once reported a target that was seen by all three facilities at the same time. There were, however, a number of times when the ARTC radar and the Washington National tower radars had simultaneous contacts. It also seems that the radars were displaying the same targets that were seen by the crews of the Capital Airlines flights. 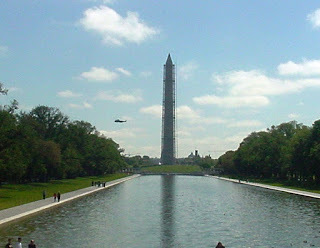 What it boils down to is that multiple radars and multiple eyewitnesses were showing and seeing objects in the sky over Washington, D.C.
Air Force intelligence, including ATIC and the officers assigned to the Project Blue Book, had no idea that these sightings had taken place. They learned of the Saturday night - Sunday morning UFO show when the information was published in several newspapers on Monday. 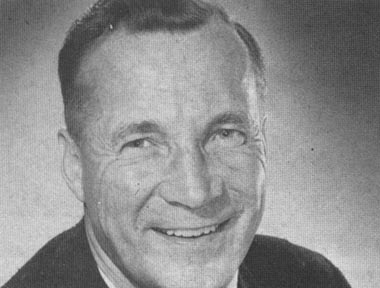 Captain Ed Ruppelt, chief of Blue Book, on business in Washington and unaware of the sightings, reported "I got off an airliner from Dayton and I bought a newspaper in the lobby of Washington National Airport Terminal Building. I called Major Dewey Fournet, but all he knew was what he read in the papers." A week later, almost to the minute, with the same Air Traffic Control crew on duty, the UFOs returned. About 10:30 P.M. spotted several slow-moving targets. This time the controllers carefully marked each of the unidentifieds. When they were all marked, they called the Andrews AFB radar facility. The unidentified targets were on their scope too. An hour later, with targets being tracked continually, the controllers called for interceptors. Al Chop, the Pentagon spokesman for the UFO project, told me, that he was in communication with the main basement command post at the Pentagon. He requested that interceptors be sent. As a civilian, he could only make the request and then wait for the general or admiral in command at the Pentagon to make the official decision. As happened the week before, there was a delay, but by midnight, two F-94s were on station over Washington. At that point, the reporters who had assembled to observe the situation were asked, by Chop, to leave the radar room at National Airport because classified radio and intercept procedures would be in operation. electronics specialist, assigned to the Air Force Directorate of Intelligence. With those men watching, as well as the controllers at various facilities using various radars, the F-94s arrived. And the UFOs vanished from the scopes immediately. The jets were vectored to the last known position of the UFOs, but even though visibility was unrestricted in the area, the pilots could see nothing. The fighters made a systematic search of the area, but since they could find nothing, they returned to their base. Chop told me, "The minute the first two interceptors appeared on our scope all our unknowns disappeared. It was like they just wiped them all off. All our other flights, all the known flights were still on the scope... We watched these two planes leave. 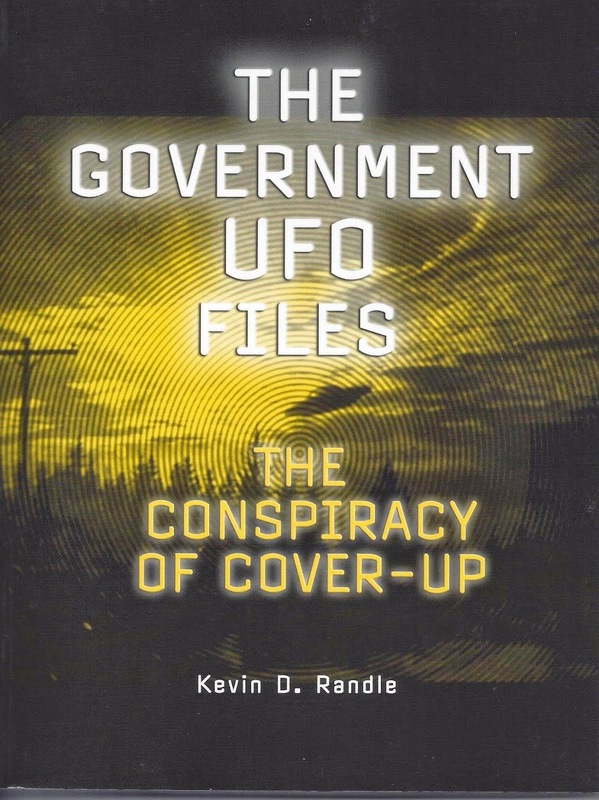 When they were out of our range, immediately we got our UFOs back." Later, Air Force officers would learn that as the fighters appeared over Washington, people in the area of Langley Air Force Base, Virginia, spotted weird lights in the sky. An F-94, in the area on a routine mission was diverted to search for the light. The pilot saw it and turned toward it, but it disappeared "like somebody turning off a light bulb." The pilot continued the intercept and did get a radar lock on the now unlighted and unseen target. That was broken by the object as it sped away. They fighter continued the pursuit, obtaining two more radar locks on the object, but each time the locks were broken. The scene then shifted back to Washington National. Again, the Air Defense Command was alerted and again fighters were sent. This time the pilots were able to see the objects, vectored toward them by the air traffic controllers. But the fighters couldn't close on the lights. The pilots saw no external details, other than lights where the radar suggested that something should be seen. After several minutes of failure to close on a target, one of them was spotted lopping along. A fighter piloted by Lieutenant William Patterson turned, kicked in the afterburner and tried to catch the object. It disappeared before Patterson could see much of anything. Interviewed by the press the next day, Patterson said, "I tried to make contact with the bogies below one thousand feet, but they [the controllers] vectored us around. I saw several bright lights. I was at my maximum speed, but even then, I had no closing speed. I ceased chasing them because I saw no chance of overtaking them. I was vectored into new objects. Later I chased a single bright light which I estimated about ten miles away. I lost visual contact with it..."
Al Chop remembered this intercept, as did Dewey Fournet. Chop told me, "The flight controllers had directed him to them [the unknowns]. We had a little cluster of them. Five or six of them and he suddenly reports that he sees some lights... He said they are very brilliant blue-white lights. He was going try to close in to get a better look... he flew into the area where they were clustered and he reported they were all around him." Chop said that he, along with the others in the radar room, watched the intercept on the radar scope. What the pilot was telling them, they could see on the radar. Patterson had to break of the intercept, though there were still lights in the sky and objects on the scope. According to Chop, the pilot radioed that he was running low on fuel. He turned so that he could head back to his base. Chop said that the last of the objects disappeared from the scope about the time the sun came up. Ruppelt later quizzed Fournet about the activities that night. According to Ruppelt, Fournet and Holcomb, the radar expert, were convinced the targets were solid, metallic objects. Fournet told Ruppelt that there were weather related targets on the scopes, but the controllers were ignoring them. Everyone was convinced that the targets were real and solid. At 4:00 P.M., in Washington D.C., Major General John A. Samford, Chief of Air Intelligence, held a press conference. Of that press conference, Ruppelt wrote, "General Samford made an honest attempt to straighten out the Washington National Sightings, but the cards were stacked against him. He had to hedge on many answers to questions from the press because he didn't know the answers. This hedging gave the impression that he was trying to cover up something more than just the fact his people fouled up in not fully investigating the sightings. Then he brought in Captain Roy James from ATIC to handle all the queries about radar. James didn't do any better because he'd just arrived in Washington that morning and didn't know very much more about the sightings than he'd read in the papers. Major Dewey Fournet and Lieutenant Holcomb, who had been at the airport during the sightings, were extremely conspicuous by their absence..." As was the Pentagon spokesman on UFOs, Al Chop. This was the largest Pentagon press conference held since the end of the Second World War, at least to that time. 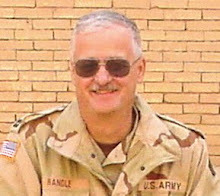 Interestingly, one of the general officers also at the conference was Roger Ramey… yes, he of Roswell fame. and Hynek saw the lights for the TV program. he wished to fly. There is no way that Quinn would have been allowed to join the intercept, even if a general called down to arrange it. These things just don’t happen in the real military. It looks good on television but it doesn’t happen in real life. My point is that this drama, and it should be considered a drama, doesn’t claim to be the situation as it really happened and those short segments at the end underscore that. Maybe it drives some traffic to the History website to look at the facts or inspires some to google the sightings. If we’re going to complain about History’s version, then what about all those websites that put up UFO information that is totally bogus with no disclaimers whatsoever. That is far worse than a television drama. To repeat myself, I do enjoy the program. I don’t find it boring but do wish they would ditch the Soviet spy angle. I do wish they would be a little more careful with the military customs and courtesies, and I don’t really want to see Allen Hynek in another fist fight with Quinn. I will be looking forward to the next season (but certainly not with the enthusiasm that I await the final season of Game of Thrones… which I mention only because Little Finger plays Allen Hynek). I do hope they will be a little closer to reality, but if they’re not, I’ll remember that they’re making a TV series and not a documentary. In the 50s and 60s, the official word, published often in the media, was that there had never been a confirmed radar and visual sighting. Keyhoe knew this was false as did others but that line was often used. I was stunned to see two guys throwing a frisbee in the episode, but when I looked it up, I found that the frisbee had been around longer than I thought. Wasnt there a real night photo of the UFO's? (about 6 or 7 UFO's) anybody have a link to this photo. so called photos of lights over the capitol are just that, lights which are reflections of the light poles on the ground, but have been passed off as "saucers over the capitol building". As noted, the photograph is not of UFOs but it a fake. Some believe it to be a composite with the lights overlaid on the other photograph. Almost no one believes this to be anything of importance. For anyone interested in the Washington Nationals, as well as the origins of Blue Book (Sign, Grudge), there was a neat little movie called "UFO" made, I believe in 1956 that does a pretty good job of looking at that incident and few others... Just thought it might be a point of interest to some. I have to admit I thought of both the 1956 docu-drama UFO and Invasion Washington when I saw the episode. Is there any chance of getting the book back into print?